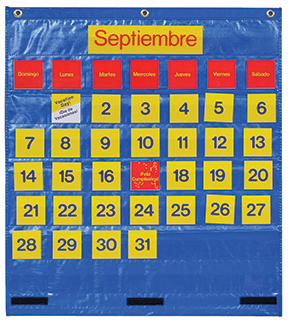 A simple to use, sturdy classroom calendar. Chart is 28.5 inches wide and 31.5 inches high with 3.75 x 3.75 inch pockets. Students can easily work with month, day, and date cards; no more struggling with pins. Colors may vary.